I don't know about you guys, but we've really been making the most of this beautiful English weather. A couple of Fridays ago, Sam and I snuck off work a little early and made our way down to Dorset for the weekend. 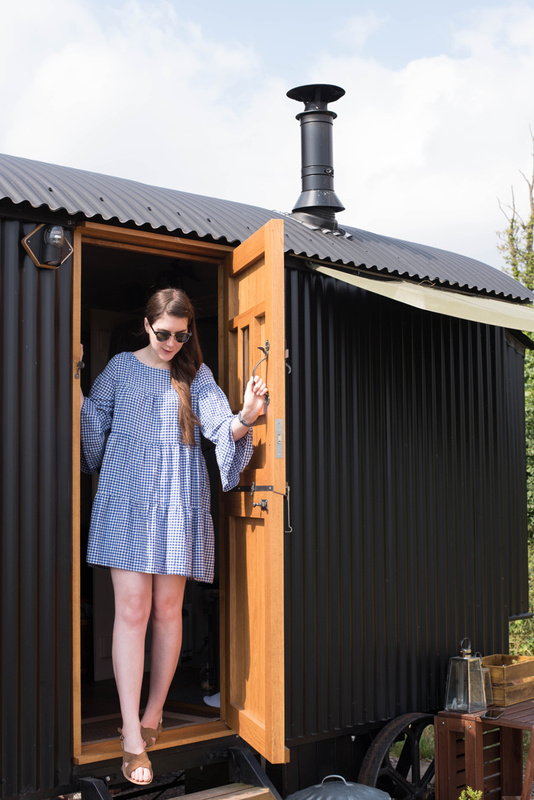 We love to go on mini adventures so when Farmstead Glamping at Colber Farm invited us for a complimentary stay in one of their Plankbridge Shepherd's Huts, we jumped at the chance. The journey from Bristol was quick and painless. I was expecting (and fearing) heavy traffic but we took the 'A roads' and arrived in Sturminston Newton in under two hours. Colber Farm is located in the sweet little town of Sturminston Newton and is just a one mile walk from the centre. Not somewhere we'd heard of before, but it has a wonderful old mill, gorgeous surroundings and a handful of adorable eateries. 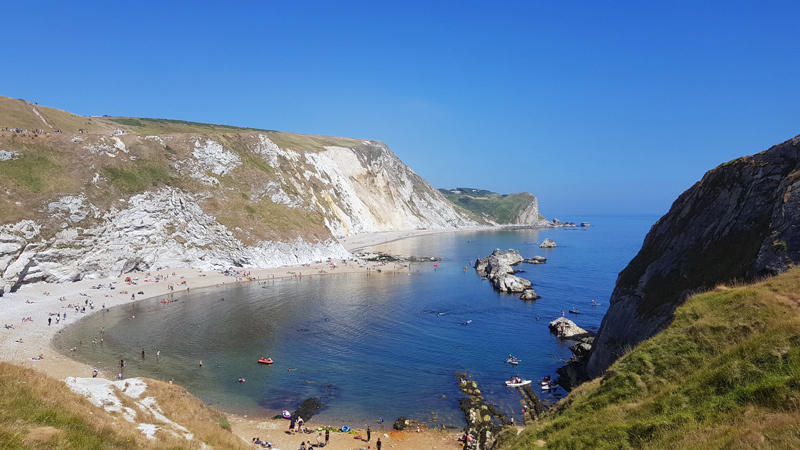 It's also perfectly located for visiting the Jurassic Coast - which is where we planned to venture on the Saturday and Sunday. Upon arrival we were greeted by our gracious host, Hannah. 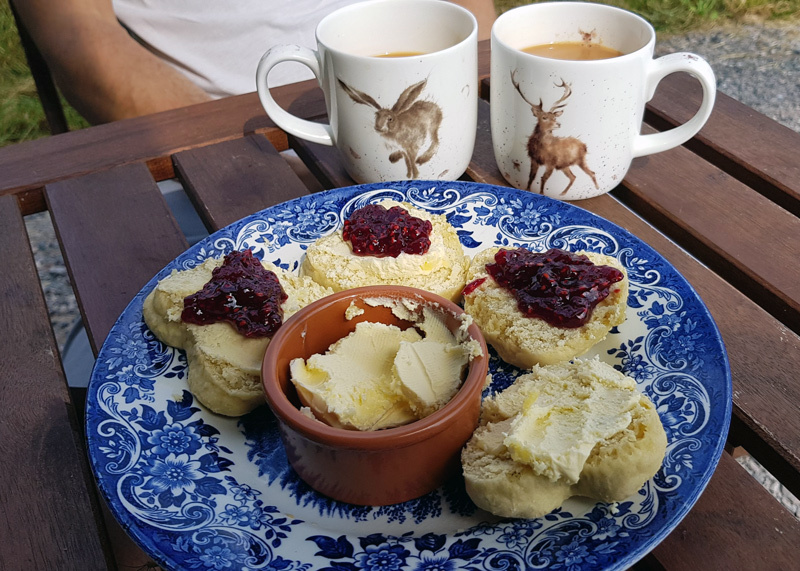 She was extremely welcoming and friendly and presented us with some afternoon tea (handmade scones and jam from the farm) and our breakfast for the next morning. 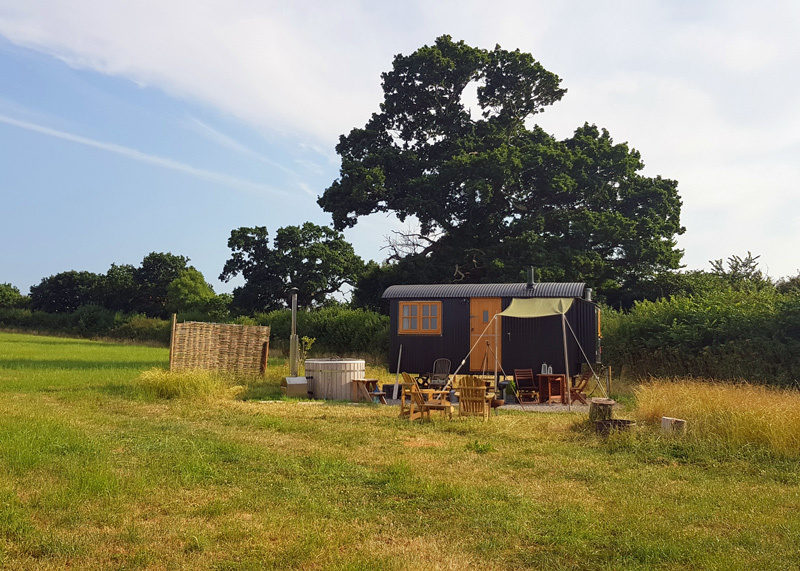 We were shown around The Happy Hare, our home for the night, and Hannah told us how to use everything including the incredible wood-fired hot tub! Hello! First impressions: we were blown away by how isolated it was. 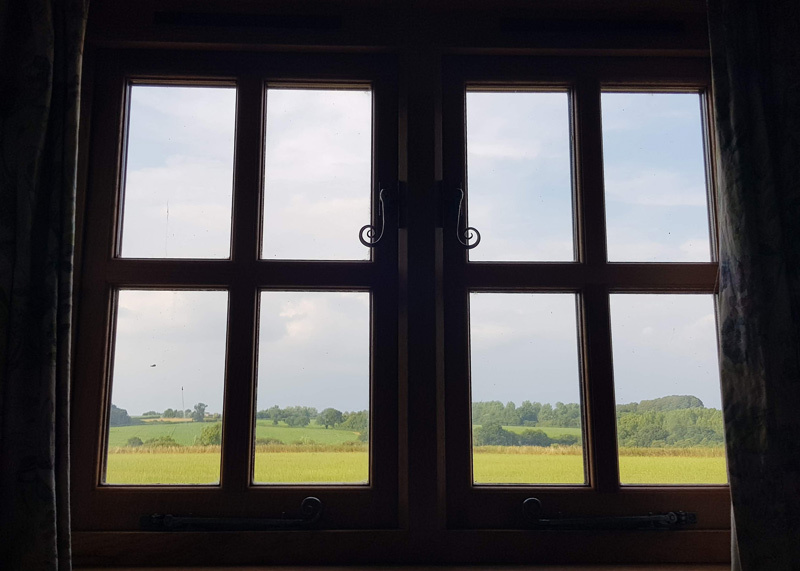 Our hut was situated near the far edge of a field, there was one other Shepherd's Hut on the opposite corner, but we had complete privacy and felt alone. Translation = it's oh so romantic. After a quick snoop around, it was clear the Plankbridge hut we were staying in was carefully designed and well crafted. 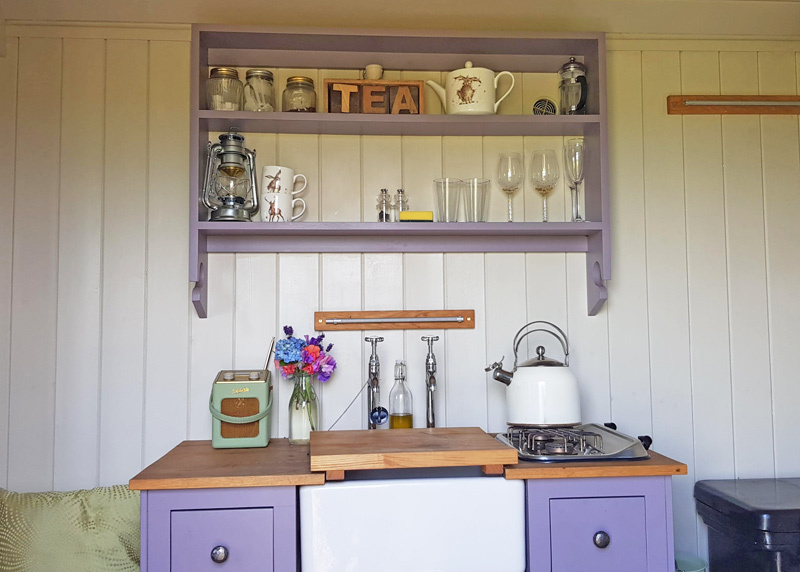 It had so many clever design features - I think even George Clarke himself would be impressed. The huts are made nearby using the finest quality materials and have a luxury feel to them. The interior is beautifully decorated and I loved all the small details, right down to the whimsical crockery. 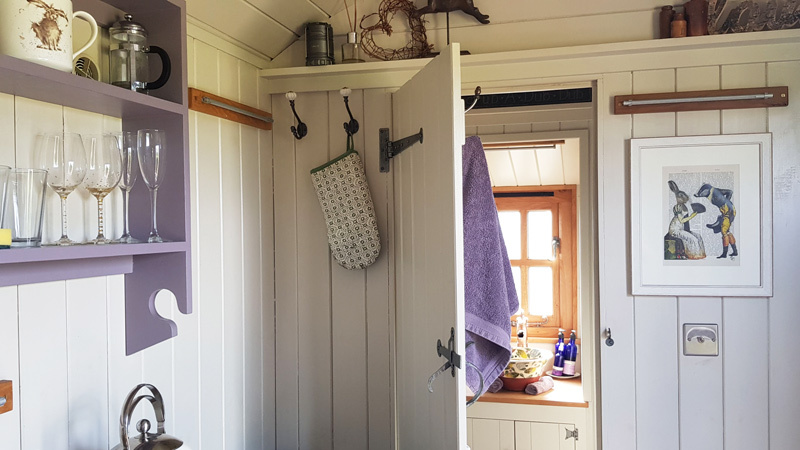 There's a large double bed, storage, cooking space, a sink and hob, a fire (obviously not needed in this weather) and a proper bathroom! I couldn't believe my eyes when I saw the indoor toilet and shower. That evening, Sam I had dinner in a local pub which was simply charming. The locals were really friendly and we enjoyed the distinct change of pace in the town. Everything and everyone is just a bit more relaxed. 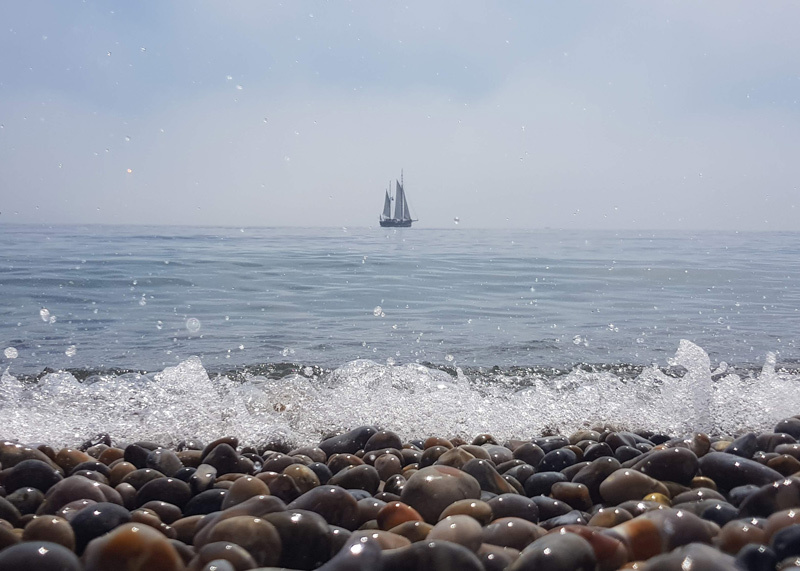 This short break was a much welcomed escape from the hectic live we lead in busy Bristol. We soon returned to The Happy Hare and Sam put the wood-fired hot tub on. Oh it was a dream. We spent the rest of our night listening to music, chatting and relaxing in this glorious tub. It wasn't long before the stars were out and we were using an app to work out the constellation names... It turns out the names I was taught at school camp were completely made up (but much easier to remember). It was such a memorable summer's evening. We slept in a little late the next morning. 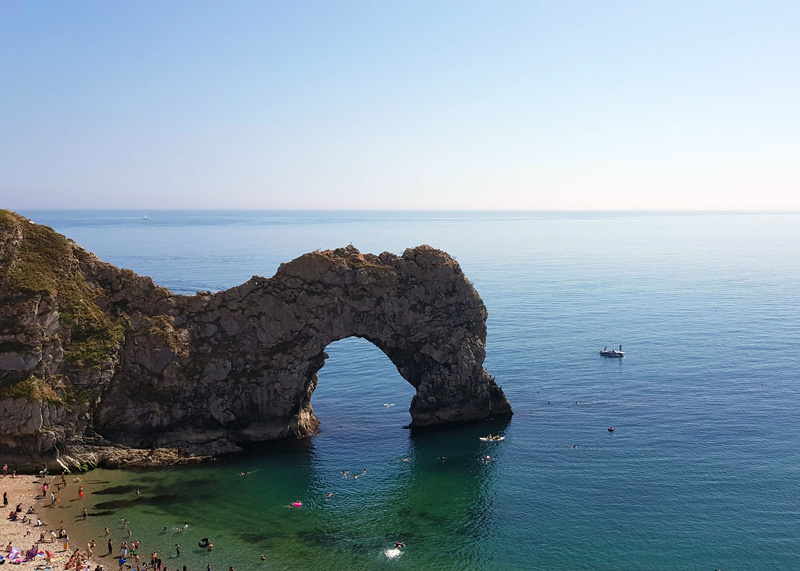 We were planning to get up early and head to Durdle Door but the bed was just too comfortable and we were really enjoying ourselves. 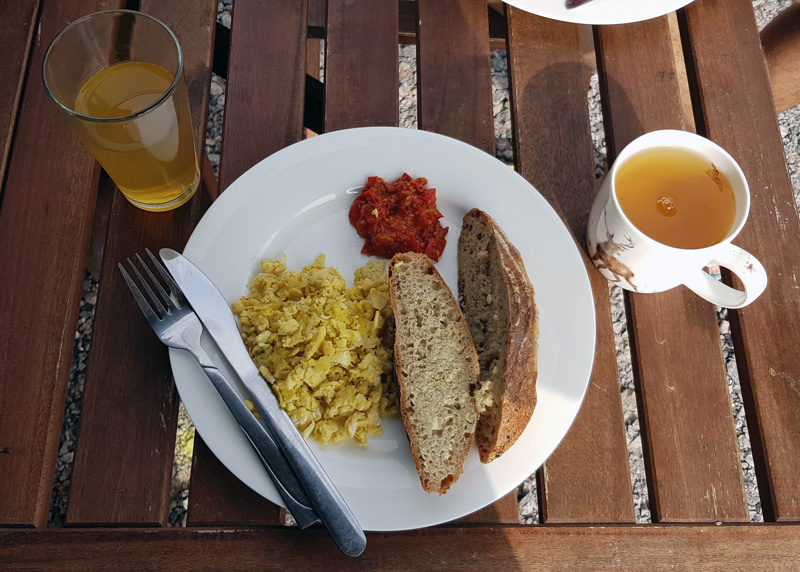 Sam made breakfast which was followed by Afternoon Tea (it would've been a shame to waste it) and we spent a few hours slowly preparing to leave and smiling at the happy cows in the field over. We were genuinely a bit gutted to say goodbye to The Happy Hare, but vowed we would return and stay for longer. 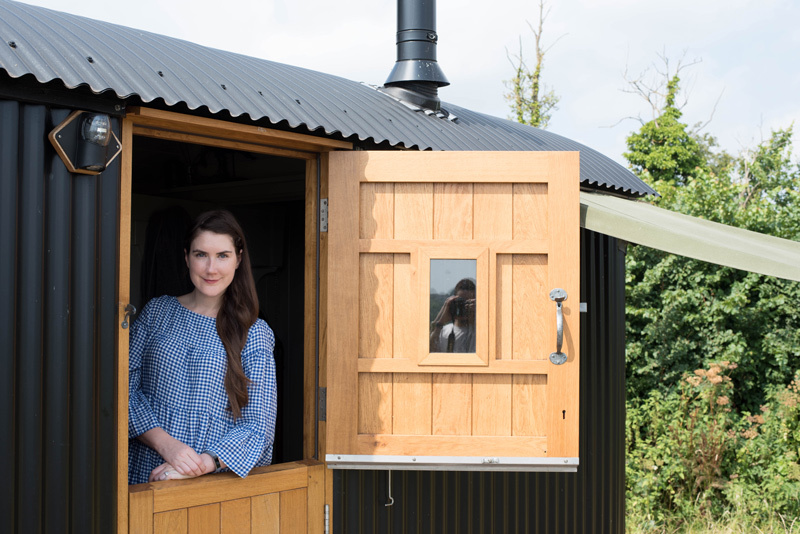 I cannot recommend Farmstead Glamping enough. Yes, our stay was complimentary but these words are all my own and this was genuinely the nicest mini-break we've had for years. 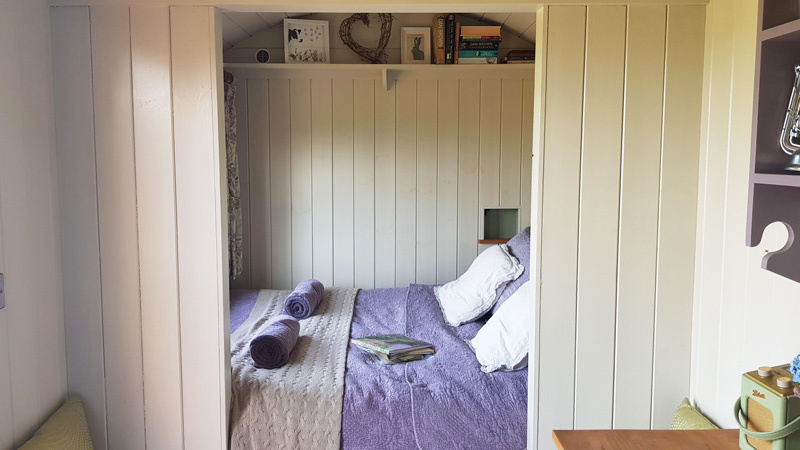 We made our way to the coast feeling calm, well rested and a little bit in love with our Plankbridge hut. We're also determined to have our own wood-fired hot tub in the future.